Philosophers are famous for disagreeing on the issues that interest them. Is morality objective? Is the mind identical to the body? Are our actions free or determined? Some professional philosophers will say no to these questions—but an almost equal number will say yes. Moreover, empirical data bears this out. In a widely publicized PhilPapers survey, conducted by David Bourget and David Chalmers, little or no consensus was found among contemporary philosophers on key philosophical theses. In the face of all this, does philosophy make progress? Surely the question answers itself. If philosophers can’t agree on their answers, the inevitable conclusion is: they make no progress. Or, at least, they make no progress, except on the meta-question of whether there is progress. On this there can be no disagreement. But philosophers disagree on the meta-question, too! A recent exchange in the Times Literary Supplement will give you the flavour: On the optimistic side, David Papineau, a professor at Kings College London and The City University of New York, presents philosophy as concerned with a continuous set of questions from the ancient past to now. Philosophers have made progress on these questions, he says, but because the issues are so hard, pace is slow. For Papineau, progress exists—it’s just so glacial it’s easy to miss. On the pessimistic side, Carlos Fraenkel, a professor at McGill, presents contemporary philosophers as concerned with a quite different set of questions from those of the past. In the light of this, he says, Papineau’s picture is unconvincing: no continuity, no progress. What is to be done? Should we draw the paradoxical conclusion that, not only is there no progress in philosophy, there is no progress on whether there is progress? I don’t think so. Drawing a key distinction through philosophy’s past allows us to see what’s right and what’s not in both optimism and pessimism. It also allows us to see that the case for optimism is much more robust than even Papineau thinks. The key distinction, which is not always clear in the language we use, is between the topics of philosophy, and the questions people ask about these topics. The topics of philosophy are those many of us are exposed to in intro classes, but are of course widely available from other sources: the relation between the mind and the body, the scope and nature of human knowledge, the objectivity of morality. Different people in different epochs and cultures have been interested in these topics. But the questions raised about these topics are specific to particular epistemological circumstances, and so they vary over time. For example, contemporary discussions of mind and body are often heavily influenced by ideas from computer science, biology, linguistics, and logic; earlier ones were not. Look again at the Papineau-Fraenkel exchange with this in mind. Papineau says that contemporary philosophy is concerned with the same issues as that of the past. Does he mean “same topics” or “same questions about those topics”? If the first, his claim is plausible. But if the second, it is false. Indeed, he himself points out areas of philosophy (for example, ethics) in which the questions have changed. Likewise, Fraenkel says that contemporary philosophy is different from the past. If he means “different questions about philosophical topics” what he says is true, but if he means the topics themselves, what he says is implausible. On the contrary, he identifies various topics clearly, to show the difference between the Greeks and us. 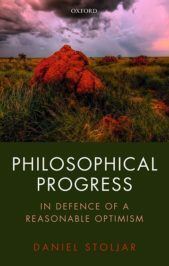 Where does this leave the dispute between the pessimist and the optimist about philosophical progress? Should we declare both sides right and go home? Of course philosophers disagree on the specific questions that interest them at the moment, but that is true in every field, so nothing follows about philosophy in particular. Again, I don’t think so. Suppose philosophers at different times ask different questions about the topics that interest them. Then the fact of contemporary disagreement in philosophy—something amply demonstrated in the PhilPapers survey and elsewhere—loses its force. Of course philosophers disagree on the specific questions that interest them at the moment, but that is true in every field, so nothing follows about philosophy in particular. Moreover, if philosophers at different times ask different questions, it becomes possible to identify earlier questions that have been solved In turn, it then becomes possible, contra Papineau, to see the pattern of success and failure in philosophy as similar to that of other fields. In 1960, in Word and Object, W.V.O. Quine asked a highly influential question about the place of semantic meaning in the natural world—a topic that is closely connected with the mind-body problem. He asked, in effect, how is meaning possible given (a) that meaning must be determined by behaviour, and yet (b) it is not determined by behaviour—something Quine illustrated with his well-known “Gavagai” example. What happened to that question? It is now a consensus position in philosophy of mind, cognitive science, and related fields that (a) is false; Quine’s behaviourism has been rejected. If so, his question has been solved. This is not to say that the topic Quine was interested in has gone away. Contemporary philosophers still ask questions about the place of meaning in the natural world. But these questions don’t take behaviourism as a premise and have a quite different shape. At about the same time as Quine was writing, there was a large amount of literature on the philosophy of history, now often neglected; William Dray’s 1964 book Philosophy of History is a good example. One central question in that literature was: How is causation in history possible given (a) causes require strict laws and yet (b) there are no strict laws in history? What happened to that question? Thanks to Donald Davidson and many others, we now have accounts of causation in which the connection between laws and causation is more remote than is suggested by (a), and so this question too has been resolved. Again, this does not mean that philosophers don’t now discuss the topic of history, but the interesting questions are quite different. Some are associated more with “continental” philosophy than the self-styled “analytic” philosophy of history of the past. And some concern ontological questions about historical entities similar in many respects to issues about the social construction of race and gender pursued by Sally Haslanger and others. “If only we made all the distinctions that there are,” Jerry Fodor once wrote, “we should all be happy as kings.” I am not sure this is true in general, but something close to it is true when deliberating the case of philosophical progress. Daniel Stoljar is Professor of Philosophy at the Australian National University in Canberra, a member of the Australian Academy of the Humanities, and the current President of the Australasian Association of Philosophy. He is the author of Ignorance and Imagination: The Epistemic Origin of the Problem of Consciousness (OUP 2006) and Physicalism (Routledge 2010). Stoljar is also the author of Philosophical Progress (OUP 2017). Philosophical topics are eternal, as long as they are not resolved. Philosophical questions can only evolve when they are resolved by answers. Answers cannot evolve because we cannot solve problems by using the same kind of thinking we used when we created them. Biological Life on Earth is an act of consumption and reproduction. Assuming Earth is a self-sufficient habitat of biological life forms and Humankind is the superior life form among all. If Humankind have progressively evolved from ‘primitive life’ due to fundamental biochemical interactions and through ‘the natural evolution process based on causality principle’ [“Kun! > Fayakūn: Al-Falluq” per Al-Quraan], they ought to evolve further under the same principle in order to delivering their ‘final/objective cause’? Early ‘Prokaryotic’ life appears about 3.5 billion years ago, representing perhaps a symbiosis of separate metabolic and replicative mechanisms of ‘life’. At 2.5 billion years ago, ‘Eukaryotes’ emerge as composite organisms incorporating ‘biological technology’ [other living things] within themselves. At 1.5 billion years ago, ‘Multicellular Metazoans’ appear, taking the form of Eukaryotes that are yoked together in cooperative colonies. At 400 million years ago, vertebrate fish species emerge onto land to begin life’s adventure beyond the seas…..
Today, at a highly accelerated rate, some 100 million times faster than the steps outlined above, human life is undergoing a similar evolution – they have moved from a simple Darwinian evolution via natural selection into the ‘evolution by intelligent direction’. Evidently enough, Humankind are rapidly heading towards a human-scale transformation – the next evolutionary step into a “Meta-Intelligence” – a future in which perhaps Humankind are highly connected brain to brain via the cloud-sharing thoughts, knowledge and actions… The quantum computation & communication, artificial intelligence (AI), interfacing the intelligent human brains with AI, etc., all in unison are going to create a new paradigm of knowledge & communication in order for interfacing the pure humankind-intelligence with Al-Arsh [the Divine Multiversal Matrix of Quantum Communication per Al-Quraan (57:4)]. Consequently, the most intelligent & pure human souls are going to discover Heavens to live therein forever [refer to ‘Al-Ikraam’ part of Al-Quraan (55:46 to 78)], while the unintelligent & impure human souls [the consequence of human genetic garbage] are going to end up in Hell to suffer forever? One needs to recall the pitfalls of the “erotetic fallacy” —falsely assuming every well-formed question has an answer. The Pyrrhonists were onto this fallacy two thousand years ago. I think that the characterization of Fraenkel’s position is importantly incomplete. He is not concerned principally with sameness of topic or sameness of question. As I read him Fraenkel thinks that philosophy has always aimed at truth, but that the *outcome* for the philosopher of grasping the truth is conceived differently in ancient and modern philosophy. Citing Plato’s Timaeus (‘our thoughts will become “divine and immortal should truth come within our grasp”’), Fraenkel is pointing out that the ancient tradition in philosophy supposed that it is an activity that is radically transformative. In the Platonic tradition, the grasp of truth renders the knowing soul like unto the divine reason that gives the universe its intelligible structure. Grasping the truth is not merely a matter of getting it right. It is a matter of becoming like god. Modern conceptions of philosophy, Fraenkel seems to think, do not present it as a pathway to radical self-transformation through being assimilated to the divine. So the question is not merely whether *we do philosophy* differently now. It is a question about what philosophy was thought *to do to us* then and now. My own view of the matter is that the discipline still harbors aspirations to be radically transformative. The versions of transformation on offer are now characterised in more secular terms. Yet what is the ambition “to understand how things in the broadest possible sense of the term hang together in the broadest possible sense of the term” but a secularized version of God’s timeless vision of the totality? What is it to attempt to mentally occupy Rawls’ original position but to seek to transcend the limitations of partiality inherent in being a limited subject?